When we have a need that seems impossible, we run to where hope can be found. We start to lose our inhibitions. We don’t care what we have to do or who we have to talk to. That’s where Jesus found himself in Matthew 4. News about Him and His miracle-working power was spreading rapidly. Every person that could get to where He was, came. Every person that could bring their sick loved one, did. The crowds must have been enormous. Jesus still heals. I thought you might need that reminder today. Our hope is found in Him. Beautiful image. And beautiful reminder. We serve an awesome God. Thank you, Carmen, for sharing this. Ahh Kristine, I needed it too! This is a good word today, Carmen! I love your graphic. I’m singing the song now in my head. :-) Have a great week. Thank you for stopping by Barbie. You have faced some tough times over the last few years. It is a testimony to your walk that you can shout, Amen! “Jesus still heals.” There is such hope in that. Thank you, Carmen. Oh yes Trudy! 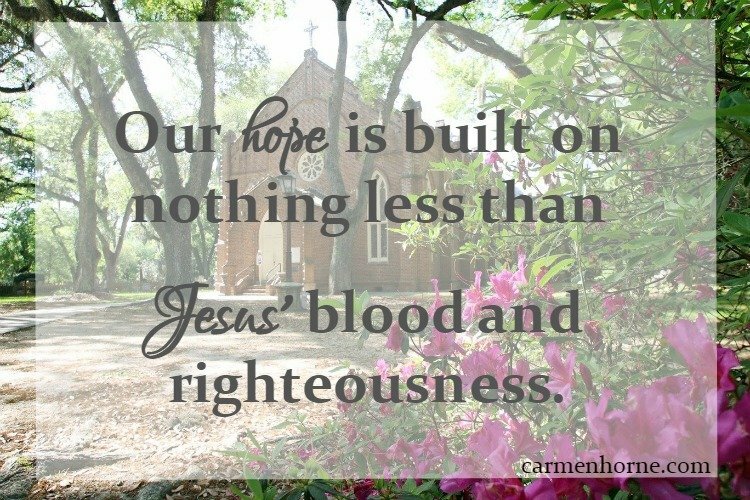 Our hope must be in Jesus. Where else can we go but to the Lord.